-ONE- Finn (and Liam as a young toddler too) is totally obsessed with the book LMNO Peas; he goes crazy for finding the lady bug hidden on each page. So I was really pumped to find the newest book in this cute little series Happea All Year! It's adorable and always gets me pumped for the upcoming month & holidays. -TWO- Liam is still super into Legos. He particularly likes the creator sets and can literally spend hours putting them together, taking apart... rinse, repeat. So he is gonna go a wee bit crazy when he sees the Lego Advent Calendar I bought for him!!! I'm so so excited to give this to him on December 1st! I know they sell out quick, so get on it if you are interested. - THREE- I have finally started printing photos that I take and have been using Mpix! After really only using Costco over the last so many year, I was super impressed! The quality is really phenomenal. Nothing about this is sponsored, I just seriously love their prints! Follow along on Instagram is sign up for the newsletter, because they always have some sort of deal going on. 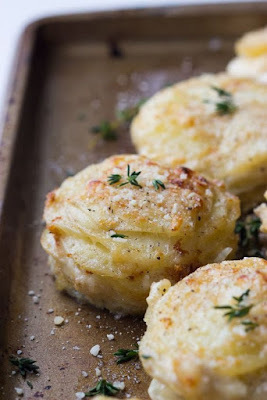 - FOUR- I made these creamy potato stacks not too long ago, and they were divine. I may change up a few things next time I make them (more thyme, less cream, possibly add blue cheese), but ooh were they good. I could easily see these becoming a staple for dinner parties & holidays. - FIVE- I'm really in the market for a pom beanie for myself this winter. Anyone recently purchase one they love? Spam me with your favorites! And also send some snow our way, because they mountains need it & so do I! TGIF. Cheers to the weekend friends! We love those books too. I saw it in Cam's recent Scholastic Book Order form and it's on the list. :) Cam would flip over the Lego Advent Calendar. I saw a cute one by Little People too that Emmy would like. Those potatoe stacks look so delicious. Yay for Daddy coming home! Enjoy your family time this weekend! Yay, I missed your Friday posts! My kids love those books, too! (So do I...they have nice rhythm and rhyme!) But I had no idea there was a lady bug hidden on each page! They will go crazy for that! And now I know what we're reading tonight before bed! Happy weekend! Were those potato stacks easy to make? They look super good but I'm all about ease! Or well, Seth is when I find him new recipes. lol! 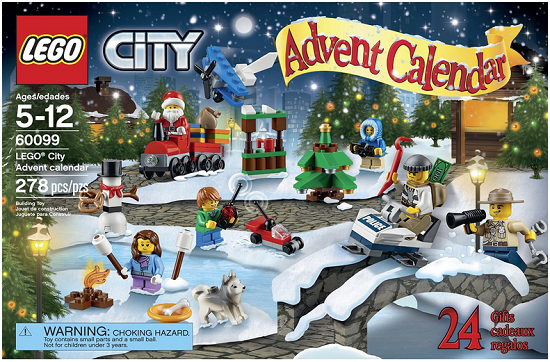 That Lego advent calendar looks so cute!! I thought about that for Mason but he's more into Thomas than Legos right now so I got that one instead. He's going to be so excited! 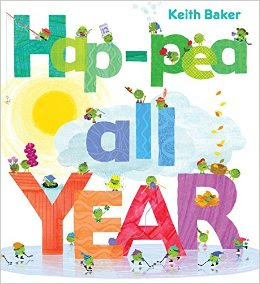 Also, I'm totally adding that Hap-pea all year book to Mason's wish list right now! Thanks for sharing! Dang this post is a home run! Conor getting home, great weather, the cutest book, the food looks fantastic!!! and say what?! A lego advent calendar!?!?! I have to snag one for Abigail! I love this hat, granted, I'm old enough to be your mom :) but it's super cute. And those potato stacks look amazing! Ooh this is totally what I wanted! Although I'm a little unsure about the ear flaps. Thanks! Everytime I see that lego advent I want it! Aria doesn't even like legos and I never played with them as a kid or anything, it just looks fun ha. Those potato stacks look delicious! Those books sounds cute! Added them to our books to buy list :) We bought Owen the same advent calendar too right when it came out this year because we were late on picking one up last year and missed our chance. Those potato stacks sound amazing!! I've never seen that book before. I will definitely need to check it out. So glad you'll have your husband home! Hope the weekend is wonderful! We still love LMNO Peas, but had no idea about Happeas! That one may need to be added to Julia's growing library. I'm all about potatoes (are carbs a love language? ), and those look simply heavenly! So much goodness!! We got the Lego Advent calendar too, I can't wait. We did that Lego advent calendar last year and I jumped on it as soon as I found it again this year!!! Can't wait! We’ve never read those books, but they sound adorable. I have been contemplating the Lego Advent Calendar. I’ve always heard great things about Mpix. I used Nations Photo lab in the past, but I’ve heard Mpix is even better.